This paper analyses globalization in the historical context and also its implications for development, especially in the developing countries. Economic globalization means where all countries are developing their economies according to homogeneous rules and regulations formulated by international organisations such as the WTO, IMF and the World Bank. Globalization refers to the opening of national markets and integration of production and increased operations of MNCs. It simply means nation-states are not able to influence exports and imports of goods and capital. And trade liberalisation is seen as a crucial policy towards globalization. 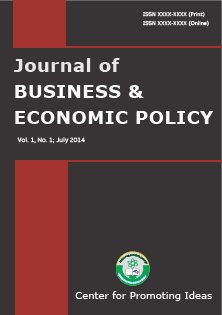 This paper will critically analyse the theoretical justification for the policy of free trade. There seems to be no doubt that globalization has opened up a number of beneficial avenues for those countries conducive to innovation and entrepreneurship. Yet in the developing countries the fundamental problem of unemployment, income inequality and poverty persists and a more integrated economy under current globalization has not been successful in resolving the challenges and problems facing the people in developing countries. This study concludes that the political economy of globalization seems to be another addition to the power of global capital over national capitalist development, which reflects crisis in capitalism due to the accumulation crisis.